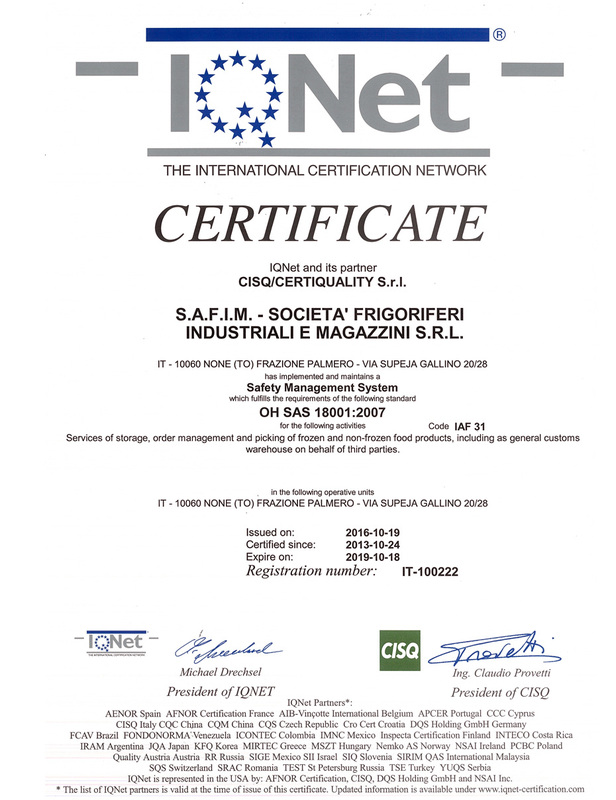 In the early summer of 2012, Safim Logistics Group gained full European Certification of Quality ISO 9001:2008 by CERTIQUALITY as IQNET member of Federazione CISC and suche certificate is renewed every year. 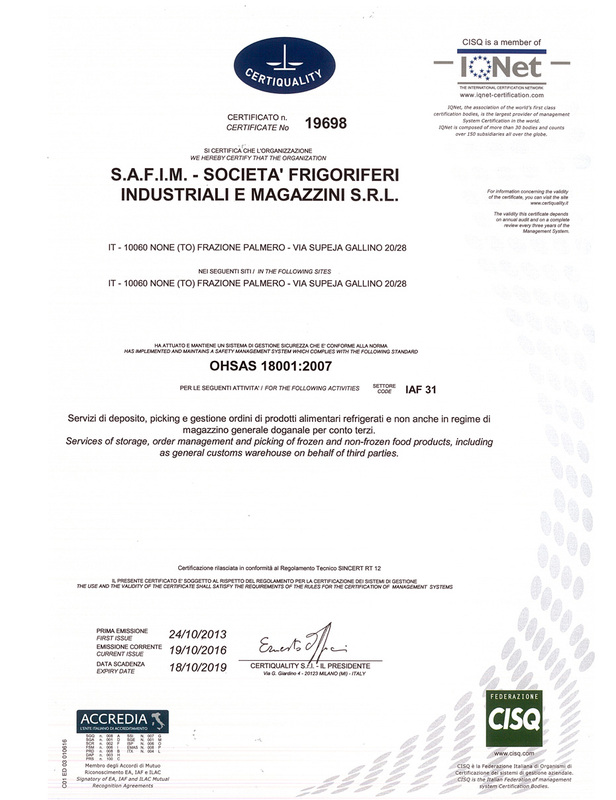 OHSAS 18001, or Occupational Health and Safety Management Systems—Requirements (officially BS OHSAS 18001), is an internationally applied British Standard for occupational health and safety management systems. 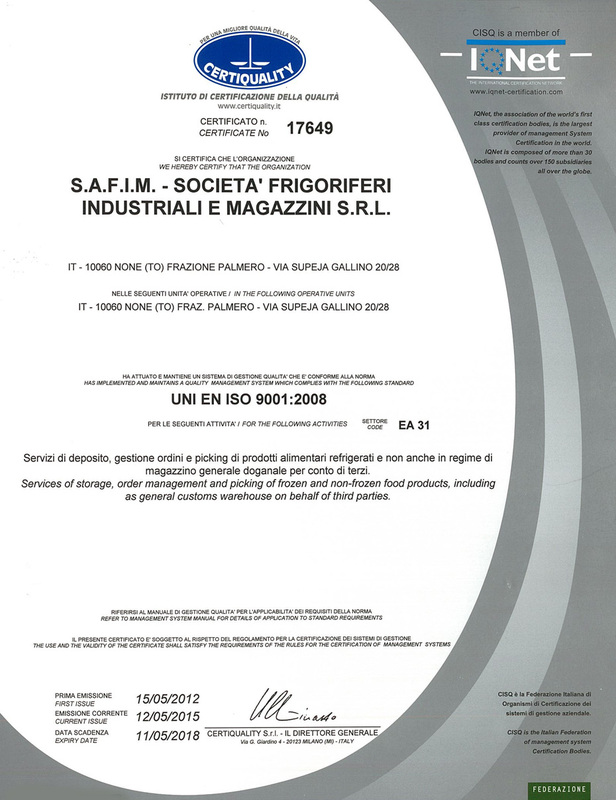 It exists to help all kinds of organizations put in place demonstrably sound occupational health and safety performance.Recognizing the commitment, availability and sensitivity on the issues, the SAFIM group is restarting from this achievement and will continue towards an even more ambitious goal: zero accidents in the company. Telephone: +39 011 550 7150 r.a.